All local retail food enforcement agencies are noticed that federal Food and Drug Administration (FDA) order pertaining to partially-hydrogenated oils (PHOs) takes effect June 18, 2018. A. 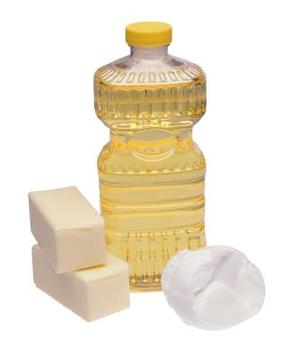 Partially Hydrogenated Oils (PHO) are not generally recognized as safe (GRAS) for any use in human food. The FDA defines 'safe' as: a reasonable certainty in the minds of competent scientists that the substance is not harmful under intended conditions of use (21 CFR 170.3(i)). B. The FDA is defining PHOs as those fats and oils that have been hydrogenated, but not to complete or near complete saturation, and with an iodine value (IV) greater than 4. C.	Any party may seek food additive approval from the FDA for the use of PHOs with data that demonstrates no harm of the proposed use. D.	FDA compliance date of the Order is June 18, 2018.
b. The use of conjugated linoleic acid (CLA). c.	Partially hydrogenated methyl ester of rosin. Retail food facilities covered by this order will be reminded of their compliance obligations during routine retail food inspections. A Notice of Violation may be issued to any covered facility that is not in compliance with this order after June 18, 2018.